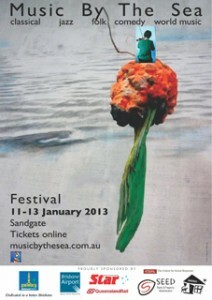 Music by the Sea Festival 2013 at Sandgate. There has been something of a transformation in Sandgate from the sleepy little Brisbane bayside suburb with the summer breezes, to that of an entirely thrilling venue for music of international standard. The brainchild of Mr Zoli Mauritz, Music by the Sea started some years ago and has gathered momentum by the extraordinary talent it has consistently presented over the years, to become an important place on the musical map for seriously good—even great—music. Sunday, 13th January was an example.The final item on the program was a selection of the contemporary work of Elena Kats-Chernin, who has garnered worldwide recognition and respect for her compositions. The composer herself appeared on the stage of the Sandgate Townhall with one of the world’s finest pianists, Tamara Anna Cislowska. Not only was this ensuing musical feast mindblowing, it was very enthusiastically received by the audience, many of whom had savoured something of Kats-Chernin’s music last September, at that time played by the redoubtable Acacia Quartet. Before the composer appeared on stage, the excitement in Sandgate’s recently refurbished, airconditioned hall was palpable,and after it, Sandgate seemed that little bit more sophisticated for having hosted such a remarkable event. One of the unique charms of the Sandgate venue is the fact that unlike concerts presented by the big-city theatre organisers like QPAC, the audience and the artists mingle. In one of the breaks between performances, I was chatting to a rather beautiful young Hungarian woman about how the Kodaly method is taught in some (but sadly not all) Australian schools from Grade One. She apologised for her poor English. I hastened to tell her that her English is not at all poor, but in fact beautifully enunciated and quite charming. She said she had only been learning English for a year and apologised again. Then, an hour or so later, this same young woman, apppeared on stage, transformed into the glamorous Judit Molnar, looking a little like a mermaid in her long golden dress, to sing some liede of Franz Schubert. Her voice is pure, beautifully modulated and powerful. Her highest notes are as good as the best I’ve heard, and rather better than most. Her Ave Maria allowed us to soar to Heaven with her. You’ll have to ask Zoli for her to come back to Sandgate to appear in another of his concerts if you were one of the unfortunates who missed out on hearing her this weekend, or even if, like me, you’ve possibly become addicted to the proposition of hearing her again. Look her up on her website (Judit Molnar soprano) and hear her sing Lehar’s “Velia, the Witch of the Woods,” and tell me that she isn’t magnificent. 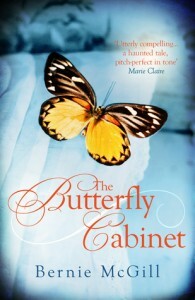 The charm intrinsic to collecting butterflies and pinning them to a display board eludes me.